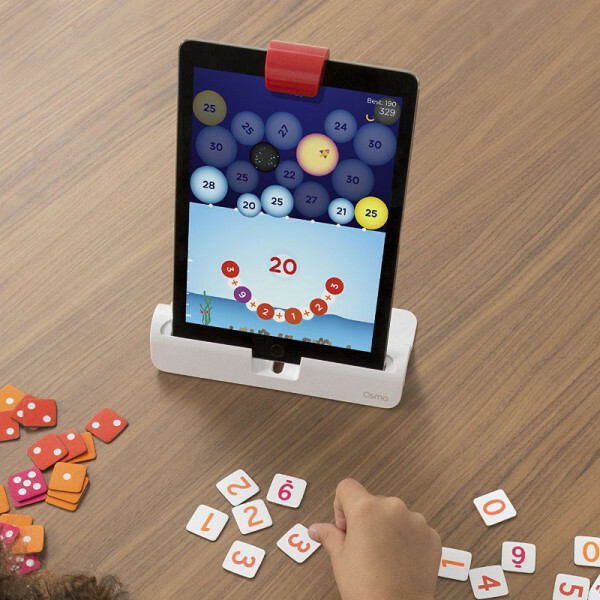 Osmo's game systems foster social intelligence and creative thinking by opening up the iPad to the endless possibilities of physical play. Crafted with reflective artificial intelligence, a groundbreaking technology that bridges the real and digital realms. 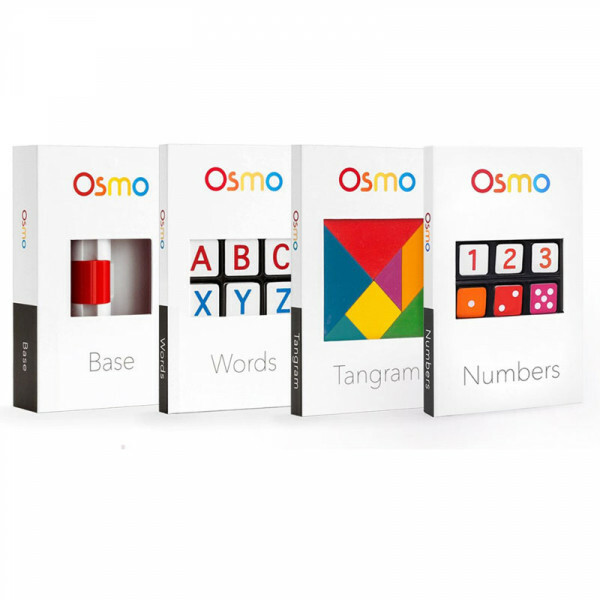 Osmo Genius Kit expands on the Osmo Starter Kit by adding on the newest game, Numbers, to the existing set of games. The full kit allows children to explore science, math, art, and more! Bridge the physical and digital - In this digital age, the iPad offers young minds a great platform for learning and playing. But, when kids are interacting only with a touchscreen, they're spending less time engaging with their physical world. Osmo is a technology system that bridges the physical and digital worlds by taking gameplay beyond the screen. Anyone, anytime, anywhere - Osmo isn't just for kids. Designed for anyone aged 6 and up, this educational toy can be enjoyed by nearly everyone in the family. Siblings can challenge each other in Words, best friends can work together in Newton, or dad and daughter can sweat it out in Tangram. Kids, parents, grandparents, and friends alike can play with Osmo anywhere, anytime. Even at Grandma's house, where there's no WiFi connection. Genius Kit includes a set of 5 different games that allows children to explore science, math, art, and more! Note: iPad in the picture is not included.